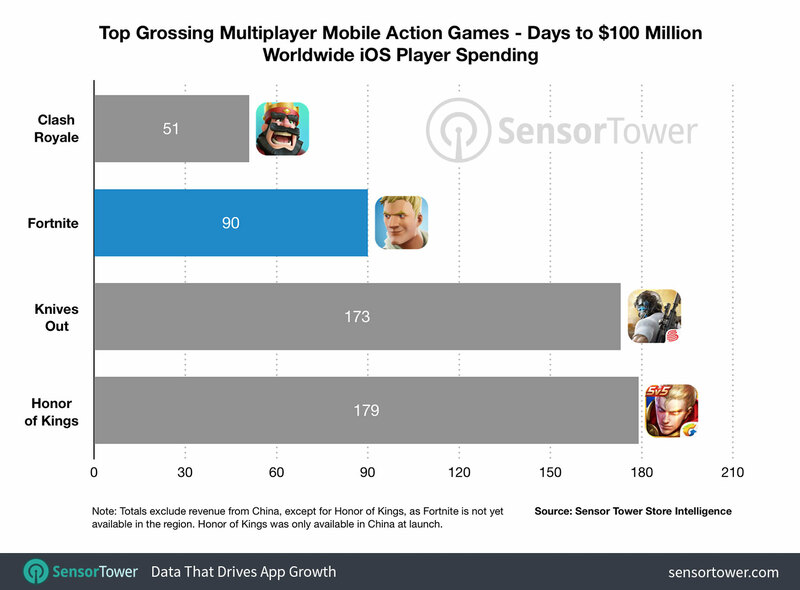 Fortnite on iOS worldwide (not including China) crossed Tencent’s Arena of Valor’s (Free) China launch (it was China only initially as Honour of Kings) in 90 days when it comes to revenue. As expected, Fortnite will be hitting mobile in China through Tencent in the future. It even managed to earn about 65% of what Clash Royale earned in the first 90 days and Clash Royale had the most successful mobile launch ever with Pokémon GO. Fortnite’s Battle Pass is beyond successful and the model of rotating cosmetics and selling them without loot boxes has worked out brilliantly for Epic Games on all platforms. In fact, the main version of PlayerUnknown Battlegrounds which is PUBG Mobile (Free) just added a similar monetisation mechanic called “Royale Pass" in the most recent update. I won’t be surprised if the smaller playerbase or niche PUBG which is the Steam version starts earning a lot more when they add the Battle Pass like Event Pass seasonal progression system. While most popular online games today use loot boxes to tap into people’s inner gambler (unrelated to the Netflix anime about compulsive gamblers), Epic Games has managed to grow their player base and the spending on every platform. The mobile spending right now is just iOS as well and it will no doubt increase when the Android release happens.